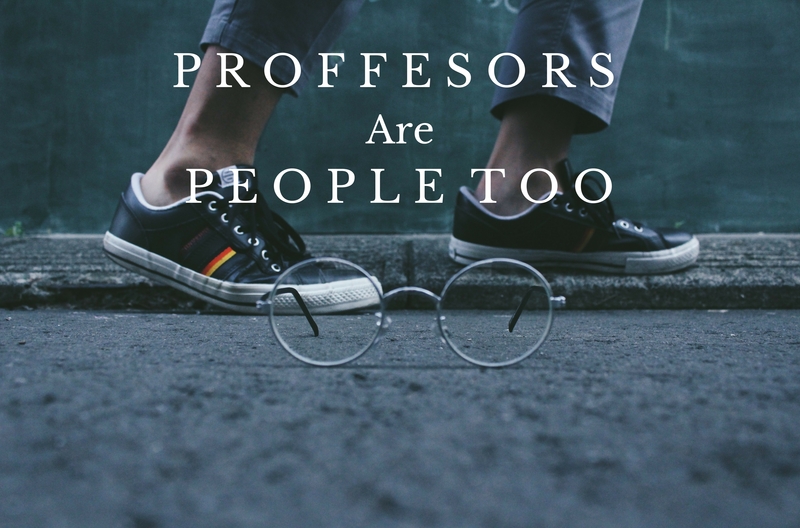 Are professors harsh taskmasters that revel in academia and find joy in burdening their students with assignments? Recently, I got the privilege of interviewing Professor Marjorie Peters. Professor Peters (known as “Marji” by her students, or, as she encourages in some cases, “sensei”) is the head of the undergraduate theatre department and one of the first professors I ever had the pleasure of learning under. She is a bright, quietly energetic person who has a true concern for her students’ wellbeing and success. I have always loved learning from her and talking about anything with her, whether it is classes, art, or wisdom for my own life. Naturally, I jumped at the opportunity to interview her about her life. I entered her office and we struck up a lively conversation. Time travel: Do you think it would ever be possible or not? Scientifically speaking, I think it’s possible. I’ve just read spatterings of articles here and there. I just read recently that they’ve invented something that mimics the capabilities of the invisibility cloak from Harry Potter— it’s definitely not publicly available, but there is technology out there… [So] I think it might be possible at some point scientifically speaking. Followup to that question: If it were ever possible, where would you travel and why? Oh, if I could travel back to any time period? Well, as long as I didn’t get stuck anywhere… I think I like my creature comforts a little bit too much to go back to a time where there’s nothing but outhouses, at least for a long period of time. I could do it for a few days, but I’m not one of those people who is thinking I could do the whole wilderness survival without any technology for thirty days and win a million dollars. Uh, no… I’d like to visit, some times in medieval history… maybe for just a day or two, [although there’s] people I’d like to meet… Queen Elizabeth or… Joan of Arc. I don’t think I’d want to interact with her much one-on-one, but it’d be interesting to be around her. [And] definitely the Victorian period — Victorian, Edwardian, Restoration periods, particularly England because I could probably still understand the language hopefully. Majorie Peters, M.F.A., currently serving as a Visiting Instructor in Regent University’s College of Arts and Sciences, Virginia Beach, VA, 2016 (Regent University). That’s something you never think about. You can travel back to somewhere, but are you going to know what they’re saying? [Laughs] Will you be incarcerated and called a witch, and they drown you? That’s something I think about. Although I would definitely be proven innocent… I would be dead, because I’m a terrible swimmer. But I don’t know. Mostly places they speak English just because of convenience. The one I wouldn’t want is the ability to read minds. I think people need their privacy… I mean, I suppose there’s some moments when it would be useful, but even if you can read someone’s mind that doesn’t mean you necessarily know what you need to say next. Sometimes it might just be more hurtful or more confusing. I think it’s merciful of God that He didn’t give us that ability. I think perhaps either the ability to be invisible when I wanted to be, or… I used to have this fantasy when I was a kid that I would periodically have the power to eliminate all bad viruses and bacteria from either a section of the world or from the entire world, all at once. Just so that no one would ever have to deal with that kind of sickness again. I mean, you might still have things like cancer which is a genetic mutation, but to be able to sterilize things with a thought or with a touch, I used to think that was cool because you could have a couple weeks of everyone on campus being completely healthy. For a little while. That might be particularly nice right around midterms or finals, so everyone would be completely healthy and no one would be fighting sickness on top of everything they had to do. It’s just kind of a weird fantasy. What has been your favorite role as an actor? Every role I’ve ever had, and particularly the ones I haven’t been enthusiastic about, I’ve always prayed that the Lord would teach me something through them. I think there was one exception to that, and that’s probably why the role was so difficult for me personally—not because it was a hard character or anything, but I just had a terrible attitude the whole time, and I really shouldn’t have. I said yes out of guilt. I’ve done that twice. Never do that as an actor. Never say yes to a role out of guilt. I enjoyed my thesis role because it was the first time I felt like I was implementing a process. Because at first [with acting you] memorize your lines and oh hey, here’s a cool thing you learned about your character today. Which you can do a lot that way, but you can do a lot more if you’re intentional about it. , I enjoyed my first role after my thesis role which was in Arcadia here at Generic Theatre. The character’s name is Hannah Jarvis, but it’s the first time I feel like I was able to implement the process apart from the pressure of having a grade. I enjoyed playing Vera in And Then There Were None, because it was one of the first roles where I felt like I was playing a lead, and I just had so much fun with that. I just appreciate all the roles I’ve ever had for different reasons, so I can’t say there’s ever been a favorite. Would you ever have a dream role, a character you would really want to play? There are some that interest me, the lead role in Margaret Edson’s Wit, I would really like to play that. There are a couple of roles… [in] Honor, by Joanna Marie-Smith, there’s one role in that show that I’m right for right now, age wise, and there’s another role— it would be a few years before I could play the wife and mother. And by a few, I mean at least a decade (laughs). There’s a part of me that wants to play Hermione in A Winter’s Tale—I don’t know… Shakespeare… I love Shakespeare. But Shakespeare is intimidating to me and I think I might be one of those people for whom it will always be intimidating. Maybe someday I’ll meet a miraculous teacher who will unlock all of Shakespeare for me and then I’ll want to do nothing but Shakespeare. Sarah Chaffee is a staff writer for the Daily Runner.